How do you become an influencer without being on social media? Star power and super talent. 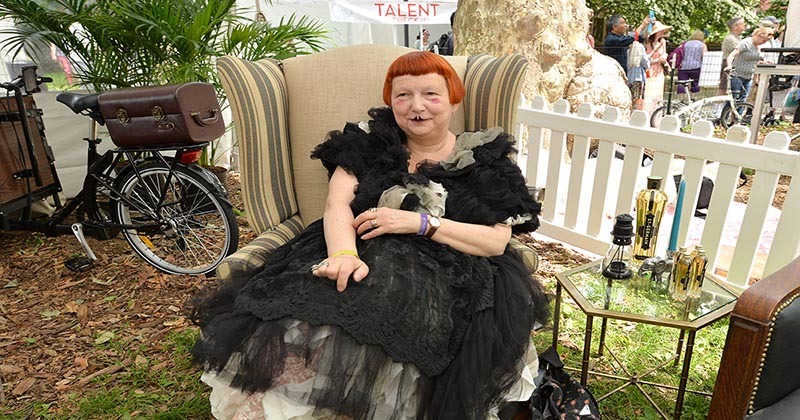 Qualities the iconic fashion editor Lynn Yaeger has in spades. She is such an engaging and impactful writer that without having any social media presence whatsoever, she won the 2019 CFDA Media Award. It’s the type of achievement “consultants” would tell you could not be done in our social media fixated era. 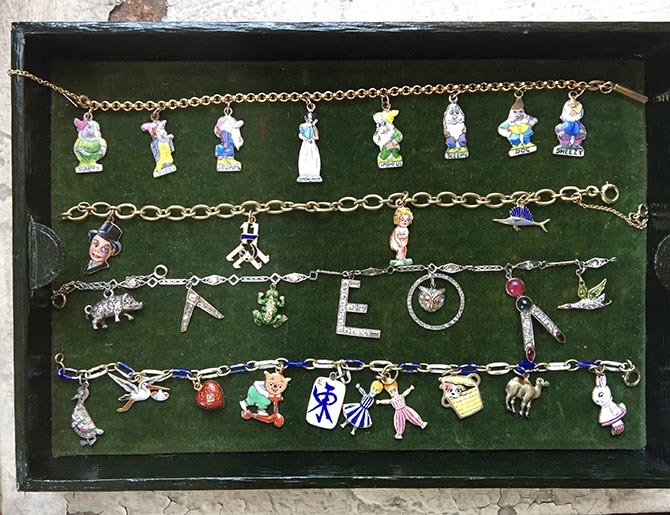 In honor of her big win, I am republishing this profile from The Adventurine archives about Lynn and her jewelry obsession. A contributor to Vogue, Lynn’s unique voice is equal parts critical eye, keen observer and sharp wit. She never simply reviews the facts of a fashion show or reports on the trends. Her stories always say something. Reading The New Yorker during her youth in the 1970s is how Lynn says she initially became interested in fashion writing. The articles didn’t have any pictures, they were about the ideas. I suspect the fashion coverage was not all Lynn read in the erudite magazine, because she doesn’t limit her work to just covering clothes. Lynn’s political reviews are my favorite weekly summary of the goings on in the Oval Office. If you have never read a word of Lynn’s work—which is a mistake, but let’s just say you haven’t—you are still most likely aware of her style. Her henna colored bobbed hair, dots of rouge above her cheeks and lipstick drawn in an exaggerated cupid’s bow has inspired makeup artists, illustrators and at least one supermodel. Fiery ginger Karen Elson recently said, after seeing Lynn around in the late 1990s, “I remember being fascinated by her look, because I kinda copied it.” Model Katie Moore has been wearing her hair like Lynn for a few seasons. Lynn’s attire is always a dreamy combination of dresses boosted up with voluminous layers of skirts and decorative coats. 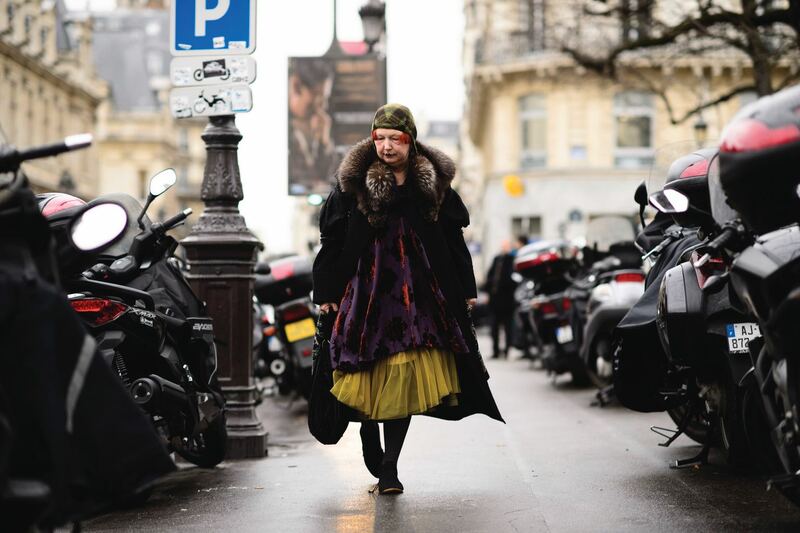 It’s a look that has made her an international street style star and the muse of fashion innovators. 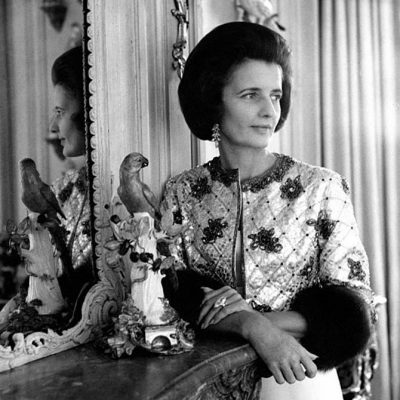 Marc Jacobs is among several designers who have been inspired by her. The third element that lights up Lynn’s celebrated style is lots of rings. Sometimes she wears a vintage watch or bracelet and a little brooch too. 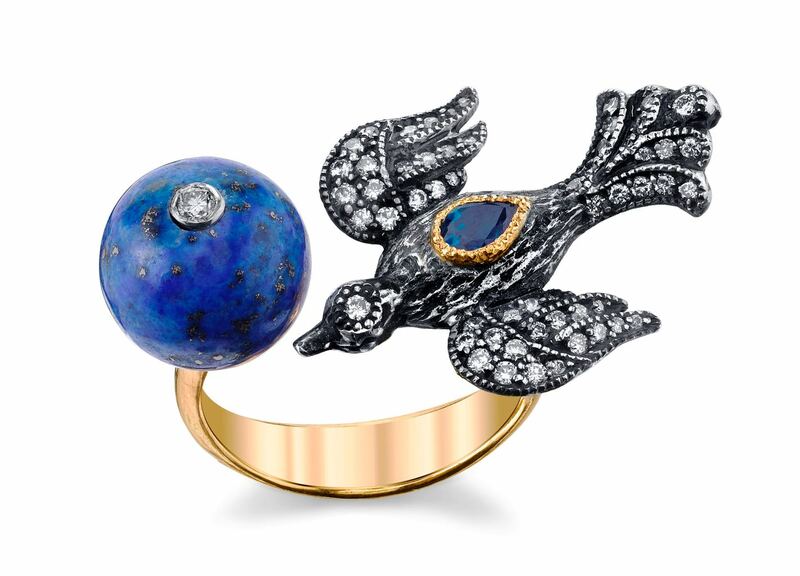 “I am at least as interested in jewelry as I am in fashion,” Lynn professed. She knows far more about certain antiques than this twentieth century jewelry historian and has schooled me on creations made during the eighteenth century, Georgian and Victorian periods. And I am not the only academic she has taught. A couple of Lynn’s pieces landed in the Metropolitan Museum of Art’s Costume Institute exhibition, “Death Becomes Her: A Century of Mourning Attire.” How you ask? Like with everything else, Lynn is an influencer on her own terms. 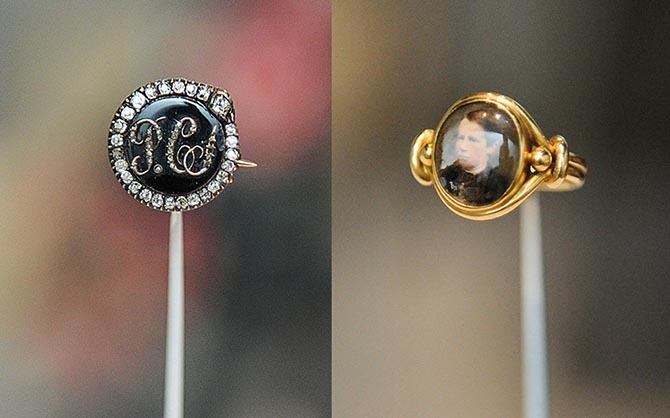 When she found out about the theme of the show she instructed her friend, the esteemed curator Harold Koda, that he needed some mourning jewelry among the attire. Of course, she had just the right jewels. I sat down with Lynn to find out more about her passion for jewelry, where she likes to shop for vintage and what she likes in contemporary designs. Read on for our Q & A. When did your love of jewelry begin? I certainly didn’t grow up in a family where people had antiques or anything old. I guess it started in college. I was very interested in vintage 1920s clothes. There was this place, it isn’t there anymore, I don’t even think the building is there. It was a supermarket on Bleecker Street and it became Walter’s Antiques Center. This was like in the 70s or early 80s maybe. I used to go with this friend of mine who is now a vintage clothing dealer to Walter’s. I think that was probably the first place that I saw this really early jewelry. I thought it was amazingly interesting and beautiful. You have been known to haunt the 47th Street jewelry district. What do you like about it? I go to 47th Street like three times a week! I have been going to the Street for years and years. I like it because it is not modern. Deals are made on a handshake. It is like a lost world. I like how rough and tumble it is. There is stuff there. It has a compelling thing. It has been fading with a lot the exchanges closing, but it is still unlike anywhere else. I am shopping and having repairs done. Some people there have been very generous in sharing their knowledge and others not so much. You become very adept at who will get a kick out of seeing what you just bought and who will show you what they just bought. It is a community of people that are in that jewelry world. I always feel that community is one way that jewelry is different than fashion. It is. There is little scholarship in fashion. There are people that write books, but basically it is completely different. Fashion doesn’t have the same kind of value. You can unload jewelry and you are going to get your money back. You may not get all your money back, but you will get something. Even if you melt it you will get something. Clothes you get nothing. You could buy a $75,000 sable coat. I mean you wouldn’t, but if you did and the next day the resale on that coat is about $4,000. Tell me some places you like to look for jewelry in London or Paris. In Paris, I go to Dary’s, Au Vase de Delft, Fabian de Montjoye and the fleas Porte de Vanves and Porte de Clignancourt. I don’t feel Paris is as good for jewelry. Some people argue that what is there is better than London, but I don’t find it as good. 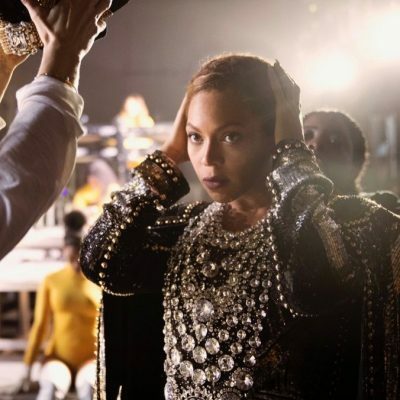 You cover contemporary jewelry for Vogue and you are attending The Couture Show in Vegas for the second time this year. What is it that attracts you to a contemporary jewelry collection? I like to see someone with real imagination and something that I haven’t seen before. As with fashion or anything else, you are always hunting for that person who leaps off the counter and you say to yourself, “What is this? How did they do that?” You are walking along and it is showcase after showcase and then what the hell is this? I love this. I think all of jewelry is a very emotional response. Because I come from the antique jewelry world, I am not so interested in like the stone and the clarity of the stone. I remember doing this piece once on diamonds and the guy showing me the clarity of the diamond next to a white piece of paper. For me I love a big fabulous ring even if the diamond is all included, it’s like I don’t care. I am interested in design.